Almost without fail, I'm asked about or complimented on my highlight. Next to doing my eyeshadow, it's one of my favorite aspects of doing my makeup and I think that really shows. Rewind back to the past year, I've taken to paying particular attention to this aspect of my makeup routine because I wasn't satisfied with it. In fact, I used to skip highlighting altogether because it never worked out for me. I found that it either went on streaky or didn't show up at all. And for someone that likes dramatic makeup, this is completely unacceptable. So to answer all of these questions, I thought it would be best if I took you guys through the highlight routine I use when I want to be seen from space. 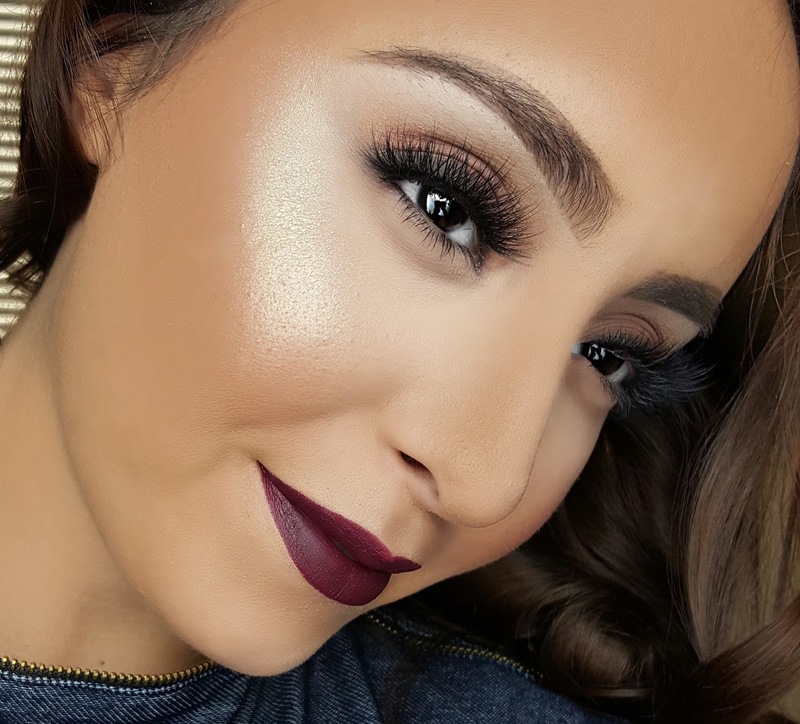 1♥ Everyone likes to begin highlighting at a different point in their makeup routine. I prefer to do this after I've already applied my base and concealer, but before I set my face. 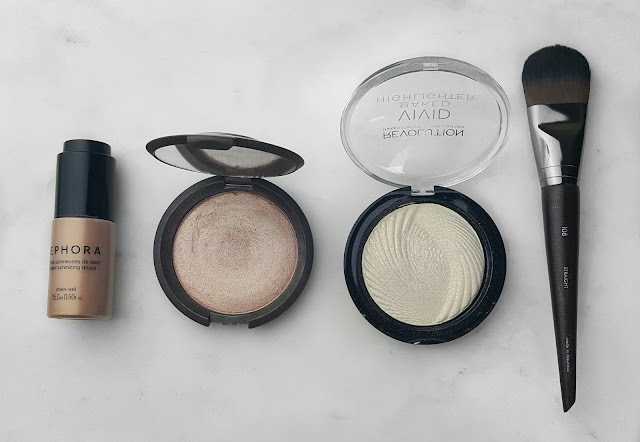 This is because I feel the moisture from these products help to intensify the look of my highlight, as well as aid in melding the powder highlight into my skin so that it doesn't look dusty or ashy. I begin highlighting by applying a highlight base. Much like you wear an eyeshadow primer, a highlight base is used to prolong the wear of your highlight and to really make it pop on your skin. The Sephora Radiant Luminizing Drops make for an excellent highlight base if you're looking to intensely highlight, but on its own they make for a very beautiful subtle glow. I currently use the shade Ultralight, which will work on medium to darker skintones. 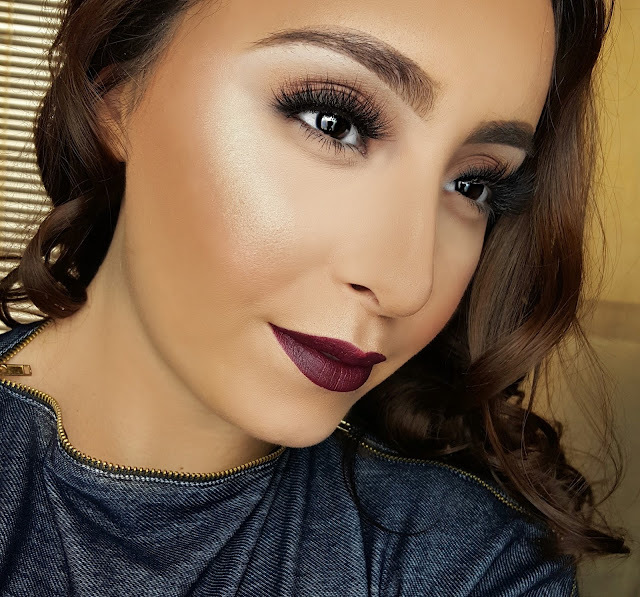 2♥ The next key in my highlighting routine is in the way I apply my highlight. I know everyone is jumping on the fan brush wagon, but, big or small, those brushes have never worked for me. They aren't very precise causing the highlight to go everywhere,become streaky, and take entirely too much time to build up. Instead, I opt for a traditional synthetic paddle foundation brush. Once again, much like you use a synthetic flat eyeshadow brush to pack on color, it makes sense to do the same when you want an intense highlight. Using the Make Up Forever Brush # 108, I apply Becca Shimmering Skin Perfector Pressed in Opal in a downward swiping motion. I like to press it into my skin along my cheekbones down to the point where the apple of my cheek is directly below the center of my eye and all the way up to the sides of my temples. 3♥ Usually applying Opal is more than enough for me, but in the rare case that it's not doing it for me, creating a highlight cocktail is my next option. Using the same Make Up For Ever brush, I would then go in with a lighter highlight, such as the Makeup Revolution Vivid Baked Highlight in Golden Lights. Since this is a very intense bright highlight on my medium skintone, I only apply this to the center of where I applied Opal. Doing so will give your highlight much more dimension. 4♥ After I've gone through my entire highlighting routine, I set my concealer, bronze my face, and apply my blush. Applying all of these other powder products takes the intense highlight down a couple of notches, so you don't have to be too scared. If you have a favorite setting spray, now is the perfect time to use it as it further allows the powder products to sit more nicely on the skin and blend in seamlessly. Woweeee that glow! I'm going to try using a flat foundation brush rather than a fan!